Upon arrival in Delhi, you will be met by our representative who will help you to transfer to the hotel for overnight stay. Early morning we shall leave for Leh by flight. Upon arrival at Leh, we shall transfer to the hotel. The day will be left free for acclimatization. Dinner and overnight stay at the hotel. Today, we shall proceed for sightseeing to ancient monasteries like Shey, Thiksey and Hemis. 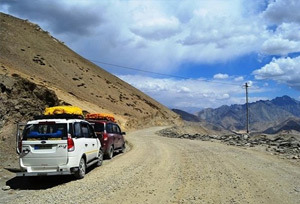 After breakfast today, we will drive to Panamik via Gangles village and Khardung La. 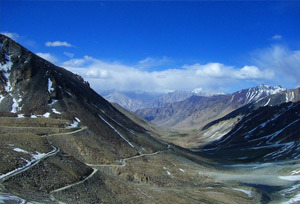 We shall enter Nubra valley and then straightaway go to Nubra River camp at Panamik. 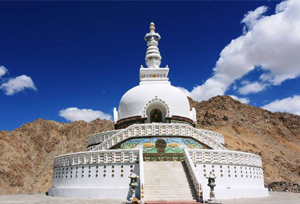 In the morning, we shall be visiting Ansa monastery, which is perched on a hilltop across the Nubra River. In the afternoon, we will be visiting Panamik village and the nearby hot springs. Overnight stay at the camp at Panamik. 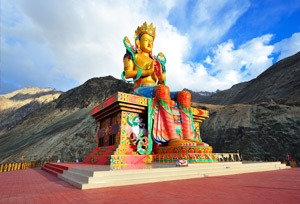 Today, we shall drive to Diskit and enroute visit Samstanling and Sumur monastery. Overnight camping at Diskit. We shall be driving to Hunder and then will be visiting Diskit monastery. Later we shall explore the town of Diskit. Today we shall leave for Leh from Diskit after the breakfast. Upon arrival at Leh, we shall be transferred to the hotel. Overnight stay at hotel. After the breakfast today, we shall pay a visit to Phyang, Spituk and Stok Museum. Overnight stay at the hotel in Leh. In the morning after the breakfast we shall board an early morning flight to Delhi. Arrive and transfer to hotel. Overnight stay at the hotel in Delhi. Drive to airport to catch the flight to your selected destination.